Tiger Woods has a clear reputation problem at the moment – which will no doubt compound his personal, family issues. 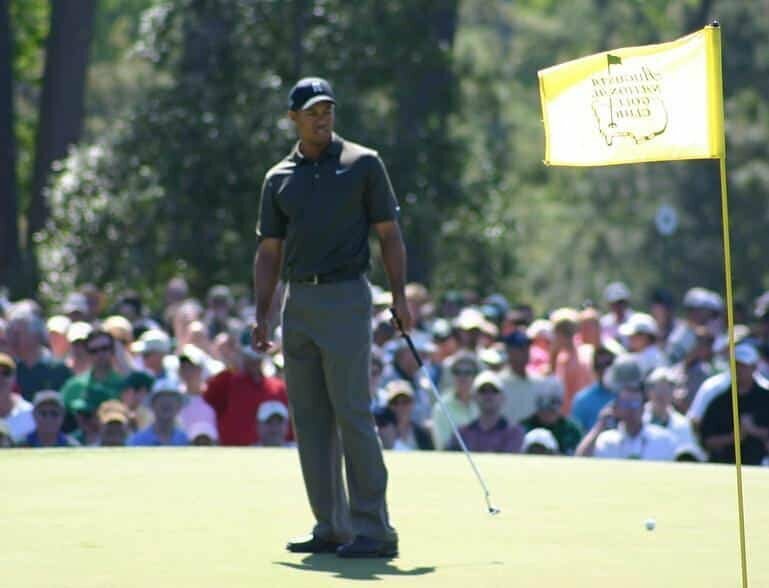 At the moment the world is full of rumour, allegation and speculation; none of it is known fact, largely because Tiger Woods appears poorly advised on what to do. He should, like David Beckham, have faced the media quickly and dealt with the allegations head on. But that’s not Tiger’s way apparently. What Tiger Woods is doing is showing exactly how NOT to run an online business. For a start, the web is currently littered with negativity about him; you can’t move online for material about the Tiger Woods story and he is even producing more web traffic than Michael Jackson. The positive material about Woods is being swamped by the negative. Every hour, more and more bad publicity is being piled upon the vast amount that already exists. The longer Tiger Woods stays silent, the bigger the pile of poo he has to dig himself out of. Much of what is currently written about him may be untrue; but unlike the fish and chip wrappings of daily newspapers, what is said online is permanent. It’s there forever and a day to provide fodder for more Tweets, more jokes, more negative articles and more criticism. Nowadays, more than ever before it is vital for anyone whose reputation is attacked to deal with it head-on, pouring out tons and tons of positive material so that the online negativity gets – at the very least – balanced. However, more important than this is the growing need for authenticity. The clean-living, solid, reliable, dependable Tiger has been shown to be something of an “image” rather than the truth. By his own admission, Woods has not lived true to his values. In doing so he has revealed that the public person is somewhat different to the private person. The result is the public feel they have been hoodwinked; the man they thought they knew is not “real”. Instead, rather like a magician’s art of misdirection, a very different Tiger has been doing something different to the character we saw. If there is one human trait that gets almost everyone annoyed it’s lying. You will often hear mothers say to their children “I’d rather have a thief than a liar”. Lying, deceit, untruthfulness is something most people simply despise. And thanks to the online world, the need for truthfulness and authenticity is growing in importance. Years ago, a business might not have been true to its values. For instance, in public a company might be upright and clean. But in private the staff might have been gamblers and drinkers. As long as the customers never knew about the lack of connection between what went on in the office and the public image, it never really mattered. But now, thanks to social networking sites or blogging, that disconnect can be public information within minutes. What it means is that the values you hold dear to your heart have to be the values your business actually lives by. Tesco, for instance, tells us “Every little helps“. According to the company ‘It’s not just something we say, we really do mean it”. But if you were a supplier to Tesco you might think that is not true. Does Tesco really live by that value for its suppliers? No doubt Tesco would argue by cutting supplier fees they are doing “every little helps” for their customers. But if “every” little really does help, shouldn’t it help everyone if you are true to your values? In other words, if you have values they must be visible in EVERYTHING you do; you can’t pick and choose the people the values will apply to (which is what some people might accuse Tesco of doing). That’s where Tiger Woods went wrong it seems; his values were doubtless there in his attitude to golf. But off the course, he went off his values. He was choosing where his values would apply. And that’s why is reputation is in tatters – he exposed his values to be partial. So, this debacle tells us two things. Your business must be true, completely and totally true, to its values in the modern Internet age; otherwise your lack of authenticity will be quickly found out and exposed. And if your reputation does take a hit, you must, must, must, deal with it immediately. When the history books come to be written, the Tiger Woods story could well be one of the turning points in modern business.